Woohoo! It’s finally here! There are so many blocks that become easier with (or are just plain impossible without) foundation piecing. 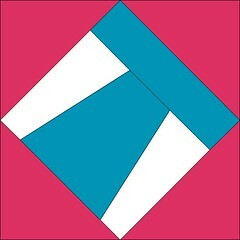 I call it foundation piecing, although it’s also called paper piecing because the most common foundation used is paper. I took a class with Jane Hall (one of the masters of foundation piecing) and she was very adamant about the word “foundation,” so it kind of stuck. There are several different ways to foundation piece. 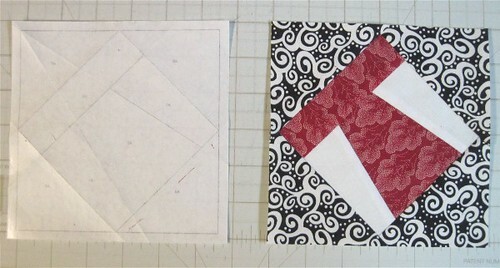 Check out Jeanne’s post on foundation piecing with regular paper. If you decide that foundation piecing is your new favorite method, also check out a fantastic book called The Expert’s Guide to Foundation Piecing. 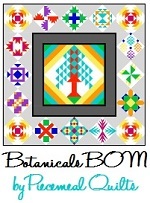 It contains variations on foundation piecing from fourteen different quilters, all putting their own spin on the process. Foundation piecing comes in many forms. 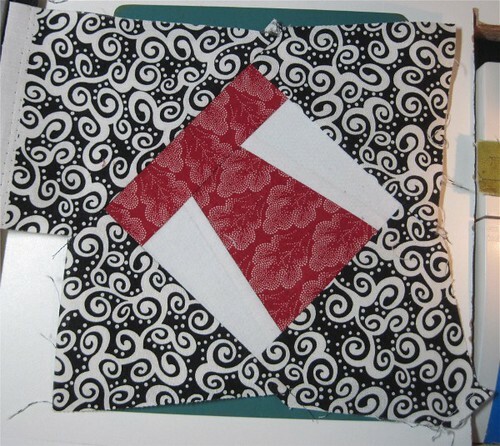 Any block where you sew fabric to a piece of paper or other fabric used as a stabilizer is foundation piecing. 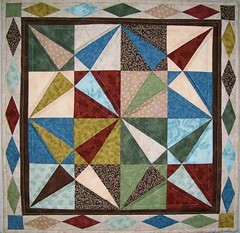 String quilts, crazy quilts and even some log cabins are foundation pieced. If you see an antique log cabin quilt with teeny tiny quarter-inch logs, it was foundation pieced. 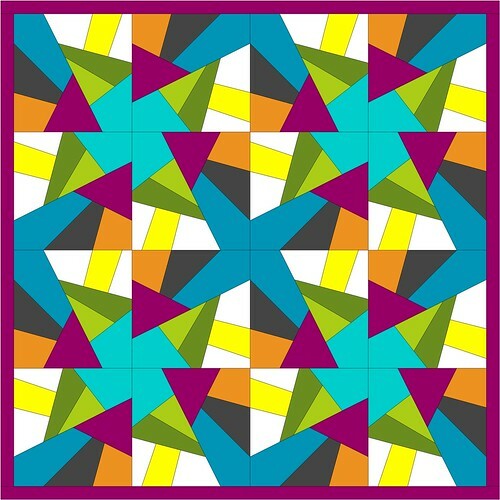 Many quilts were pieced to use up every scrap of fabric, and those scraps were often cut on the bias, or were so small that it was difficult to piece with them. 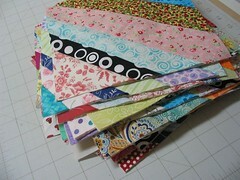 By sewing the scraps to a foundation, you created stability and allowed smaller pieces to be used. 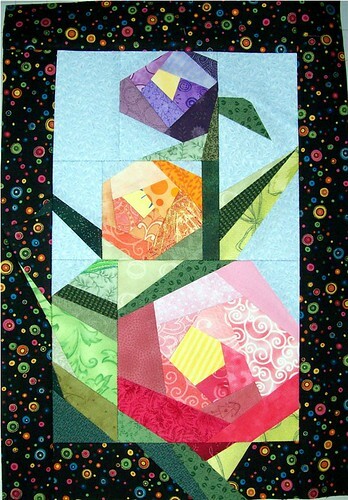 Foundations can be used to create geometric designs, as in the Crossed Kayaks mini quilt above, or to create “pictures” as in the flower mini quilt below. Paper is the most common foundation today, whether it’s regular copy paper, special foundation paper made to go through a printer, or leftover newsprint. If you can get your hands on unprinted newspaper paper (?!) I hear that’s fantastic for foundation piecing. Another option, and my preference, is freezer paper. With regular paper you sew through the paper, which is more stabilizing but also means that you have to print, copy or draw a separate foundation for every block or component you make. With the freezer paper method, you fold the paper back and sew along the fold. Because you never sew the fabric directly onto the paper, you can peel off the foundation and use it again and again. 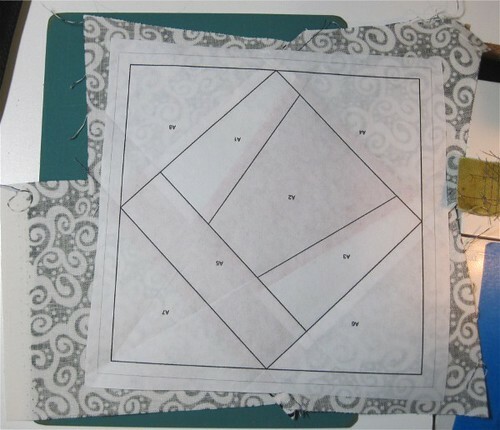 I first saw this method on an episode of Simply Quilts (a show that unfortunately is no longer airing on television). Judy Mathieson demonstrated a Mariner’s Compass block using this technique, and I immediately had to go try it. This was my first experience with foundation piecing, and it’s still my favorite. First you need to get your design onto your foundation. I use freezer paper sheets that are made to go through your inkjet (NOT laser because of the heat) printer, such as Quilter’s Freezer Paper Sheets from C&T Publishing or C. Jenkins Freezer Paper Sheets. You can find it at some quilt shops or JoAnn Fabrics, or you can buy it online. Sometimes the design is too big to fit onto 8 1/2″ x 11″ paper, so I’ll draw it on regular freezer paper. For now, print it on regular paper and trace it onto regular freezer paper. If you like the method you can look into other options later. 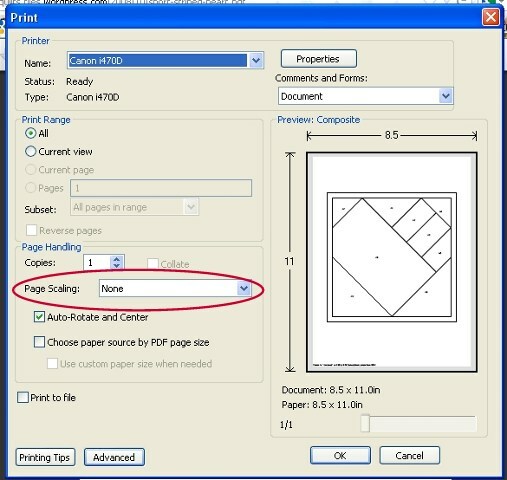 Regardless of the foundation you use, most foundation piecing (except string or crazy quilts) requires you to first print, draw or copy the design onto the foundation. 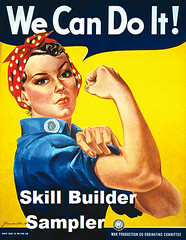 It is absolutely essential that you do this at the correct scale! If you print it from a PDF, make sure that the Page Scaling is set to None (it might default to Fit to Printer Margins – this is wrong). You’ll see this option in the Print window. Some patterns have a 1″ test box right on the pattern. After printing or copying, measure this to be sure it’s still exactly one inch. Don’t skip measuring it. Trust me, you’ll regret it eventually. Notice how this one has two separate sections, one numbered A1, A2, etc. and the other B1, B2, etc. (You may need to click it to view it larger.) Also, it shows the quarter inch seam allowance for the outer edges. 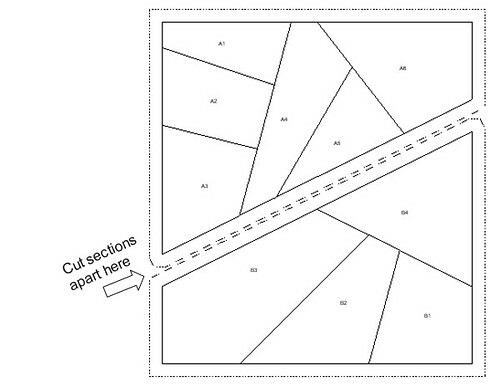 You can see where you would cut the foundations apart for individual piecing. Once you’ve printed or traced your foundation onto freezer paper, trim the excess paper away. It’s okay to leave a little extra around the edges, but you don’t want a lot of paper getting in your way. 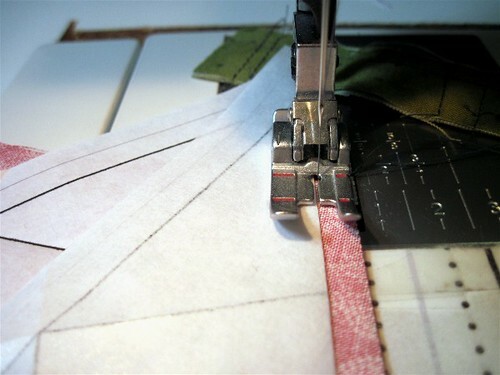 Next, crease the fold lines – the “sewing” lines. The best way is with a paper or rotary cutter with a scoring blade, which looks like a regular rotary blade but has a dull edge. An old pizza cutter would probably work. 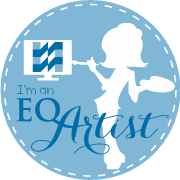 You can also use the edge of your acrylic ruler – place it flat with the edge along the line, pull the paper up along the edge, and use your fingernail to crease along the underside of the paper. Remove the ruler and fold it the rest of the way over, creasing to make it sharp. Having a sharp edge makes the fold crisper and more accurate. 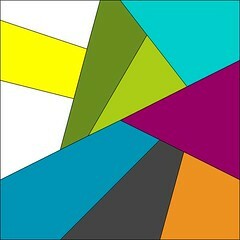 Repeat with all of the fold lines (not the outside edge). A strong light, a light box or a window are all helpful because you need to see both the lines on the paper and the fabric placement through the paper. Some people prefer to trim after sewing the seam, but I like to do it before. Fold the paper back along the crease to reveal the excess fabric. 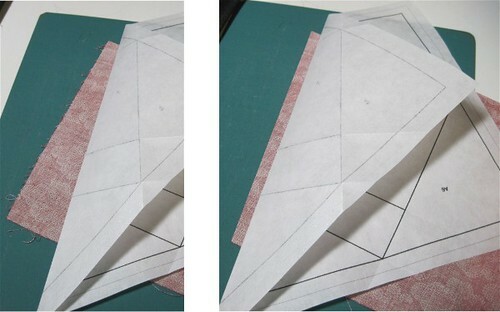 Use a rotary cutter and ruler to trim 1/4″ beyond the edge of the paper. You can also use scissors if you like – the seam line is determined by the foundation, so it doesn’t have to be a perfect 1/4″. Place the second piece of fabric right sides together with the piece ironed to the foundation. If possible, line up the straight edge of the new fabric with the edge that you just trimmed. With the foundation still folded back, make sure the new fabric completely covers the area on the foundation. 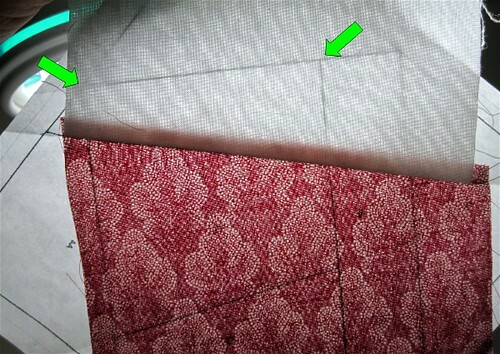 Here you can see green lines that show the edges of the new piece of fabric. There is a lot of extra space on the left, but the right side is very close to the line. There was just barely enough room – I should have moved the fabric to the right before sewing. Sew along the edge of the foundation, as close as you can without perforating the paper. Flip the fabric and the paper back into place and check that the fabric covers the area. Do this BEFORE you iron it in place and trim it! 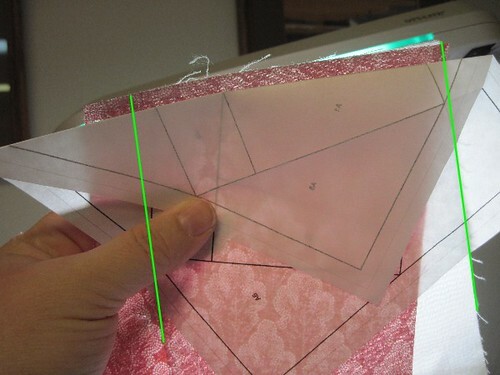 The green arrows show the corners of the section – remember, you need 1/4″ extra fabric all the way around the section. I cut it very close. Press to adhere the fabric to the freezer paper, fold back the next section, and repeat. Continue until the block is complete. It doesn’t look all that nice at first – there’s a lot of excess fabric. You can see the darker square around the outside of the block that indicates the sewing line, with a lighter cutting line 1/4″ outside of that. 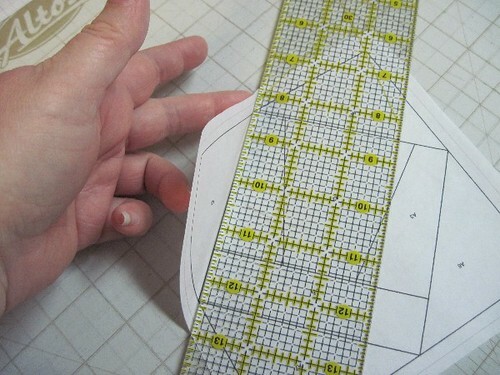 Use your rotary cutter and ruler to trim on the outer cutting lines. Be careful – it’s easy to accidentally cut on the wrong line! Also, since you’re cutting through paper, don’t use a cutter with a brand new blade if you can avoid it. After you’ve trimmed it you can peel the freezer paper off and use it again! If you’re doing a block with multiple pieces, leave the freezer paper on and fold back the 1/4″ seams, then use the paper as a guide when sewing the two pieces together. So that’s freezer paper foundation piecing! Any questions? Do you have another way of doing it that you’d like to share? If you’d like to practice a few different, but fairly basic, foundation pieced blocks, check out the series of heart blocks on my Patterns page. When you’re feeling really adventurous, try the cow! 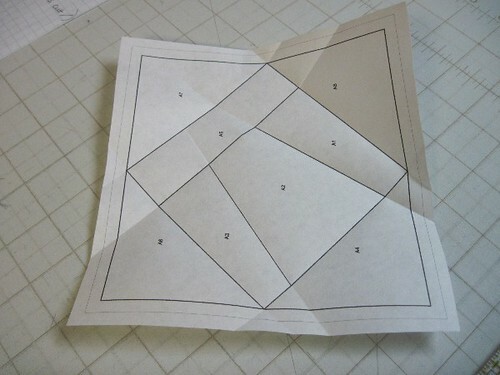 There’s also a short PDF of an earlier version a Freezer Paper Piecing tutorial. 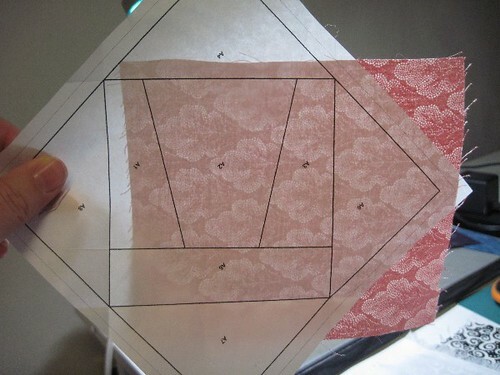 Wow…what a great tutorial for foundation piecing! I’ve tried the ‘traditional’ way of sewing thru the paper, but didn’t like the extra step of having to take all the paper off. Your freezer paper method will certainly solve that problem! Thanks so much for giving such a detailed descriptions…can’t wait to try it. HGTV has been putting up episodes of Simply Quilts on their website. They’re broken up into shorter segments, so unfortunately you have to search to find all the parts if you want to watch the entire thing, but I’ve been digging around and there’s lots of good stuff in there. 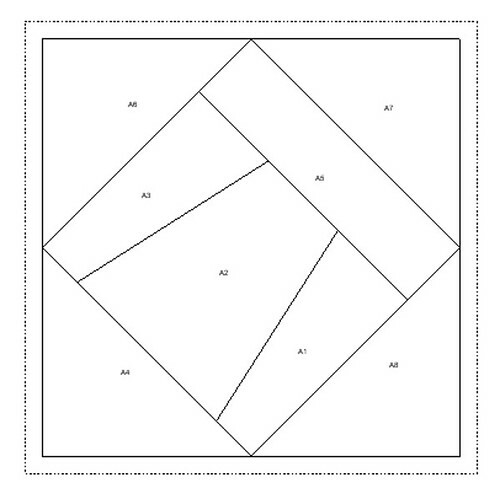 I’ve been a little leery of trying a foundation pieced block because it looks so fussy (and because my sewing skills are a little marginal) but this looks less scary than other instructions I’ve looked at so far. I too, love this method of foundation piecing. A friend and her mom stopped by today and noticed the current quilt project that I have out (a ‘Lucky Lindy’ quilt with 5″ finished airplane blocks for my baby boy). When my friend’s mom commented on how small the pieces were in the block, I told her that I do foundation piecing with freezer paper and she had never heard of it before. I told her I would send her a link to a tutorial so she could learn it, too. This is by far the best and most thorough tutorial I have found for this method. Thanks so much for putting the time and effort into this post!